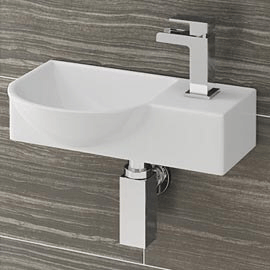 If you have a smaller bathroom setting, or perhaps an en-suite or cloakroom which requires a new basin but doesn't have too much space available, you may want to consider taking a look at installing a wall mounted basin. These practical items are very compact in their design, making them ideal for these environments. But don't think that opting for a practical choice means you have to sacrifice when it comes to style, because these items look fantastic and are created to coordinate with your other fixtures. 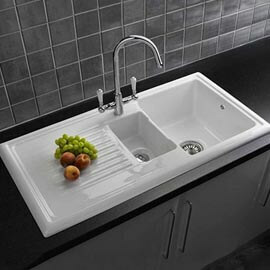 Semi pedestal: These basins are affixed to the wall and feature a half pedestal which conceals any pipework, giving the unit a much more designer feel. 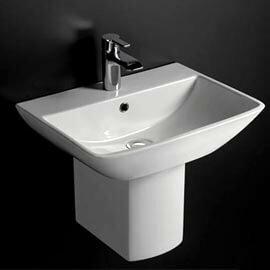 Semi pedestal basins are more commonly found in contemporary settings due to the amount of sleek, simplistic designs on offer. 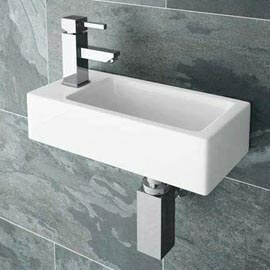 Basin with exposed bottle trap: For a decorative touch, there are basins which include an exposed bottle trap instead of a semi pedestal for a more unique look. 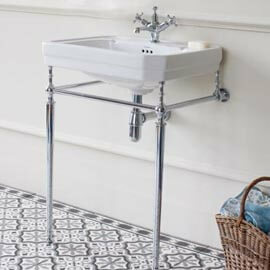 Bottle traps are normally plastic and hidden from view, but with these basins they are usually chrome or sometimes even gold, giving off a designer feel. An ideal choice for more traditionally influenced bathrooms. 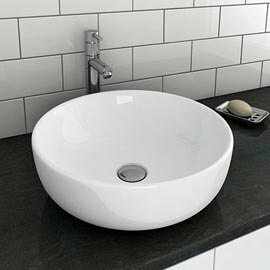 Corner basin: If space really is tight, these items are a fantastic option as they take up hardly any room at all. As their name might suggest, they simply mount where two walls meet in a chosen corner of the bathroom. 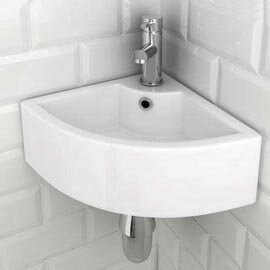 They usually feature an exposed bottle trap as installing pedestals can be awkward for corner basins. 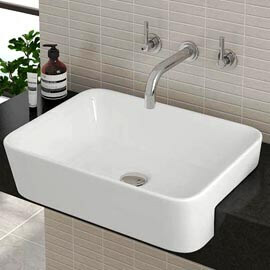 Modern: Contemporary wall mounted basins often have smooth, simplistic lines and sleek styling which is designed to reflect the look of bathrooms which are on trend. Combining these with a pop up waste and modern mono basin mixer will really complete the overall effect. 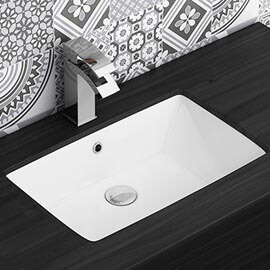 Traditional: These basins tend to feature slightly more elaborate designs and have a real classic aura about them. 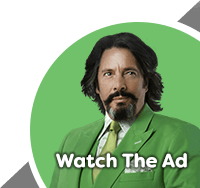 Matching one with a set of crosshead taps will further enhance this image. 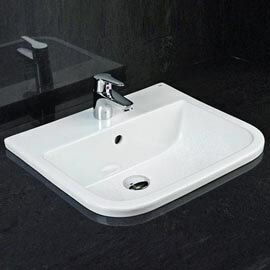 Wall mounted basins are fairly straight forward to install yourself, but as with any aspect that deals with plumbing it's a job best tackled only if you're confident in your capabilities. You first need to make sure you have enough room free where you plan to place the item, then it's simply a case of taking some measurements, marking out where the basin will go, securing the item to the wall, reconnecting the pipe lines and checking there are no leaks. 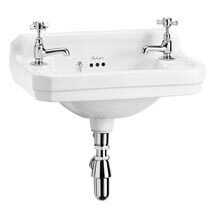 The only essential things you need here are a quality assortment of tools to hand plus a good general knowledge of how basic plumbing works and you should be ok.
Due to their compact nature many wall mounted basins come with one tap hole as there simply isn't enough room for two. Traditionally styled examples however are larger and as a result often feature two tap holes. All this means is whether you will need to purchase a mono basin mixer (for 1TH basins) or a more conventional set of taps (for 2TH basins). 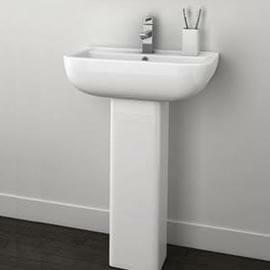 The general style of your basin will usually dictate the type of waste you will need. Modern units will suit push button or pop up wastes while traditional examples often look best with a classic plug and chain waste fitted.